dark pink with lots of turquoise shimmer. Ultramarine blue scattered holo with silver galaxy glitters and a pink/purple shimmer! 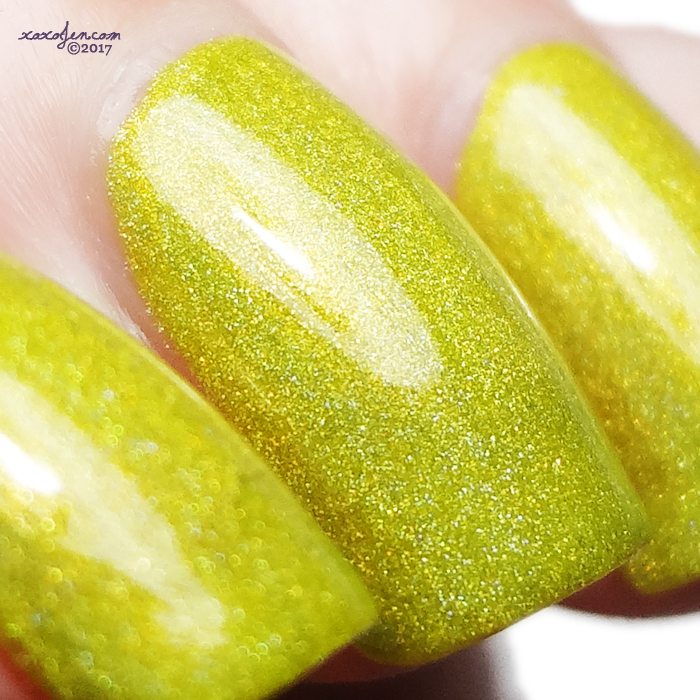 a yellow holo. Cynthia from Alter Ego says, "Support the Windy City Rubber Ducky Derby and be someone who Does The Ducky Derby! It is one of the most popular fundrasiers in Chicago and it supports the Special Olympics"
Gradient stamping with MDU and Inifinity plate 106. Absolutely love how this came out! 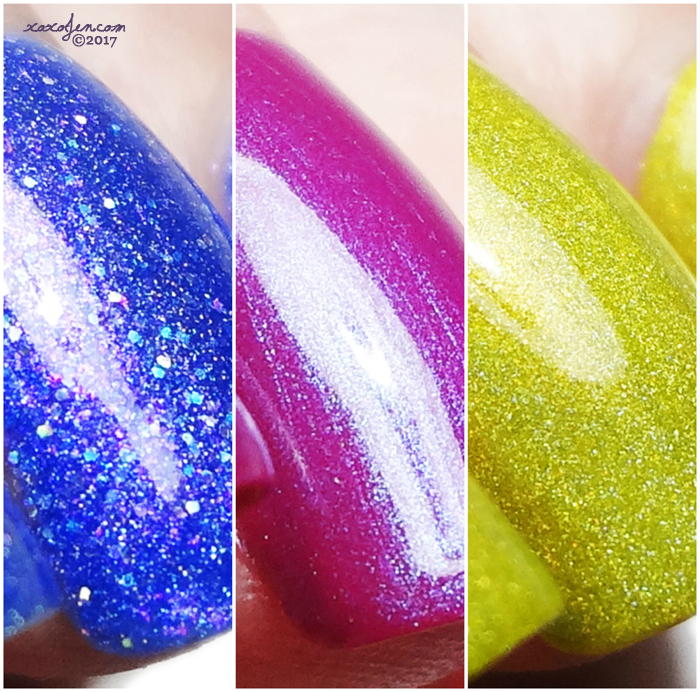 I hope you've enjoyed the review and photos - snag yours this Sunday morning after 8am Central over at http://polishconvention.bigcartel.com/products. They're available 8/13-8/19, and if you haven't already, join the Polish Con facebook group to stay informed. The colors are looking great. Love that yellow!!! Beeeautiful swatches!! !